Not far from the Ticino river, at the foot of the Gotthard massif in the Swiss canton of Ticino, is the municipality of Bellinzona. 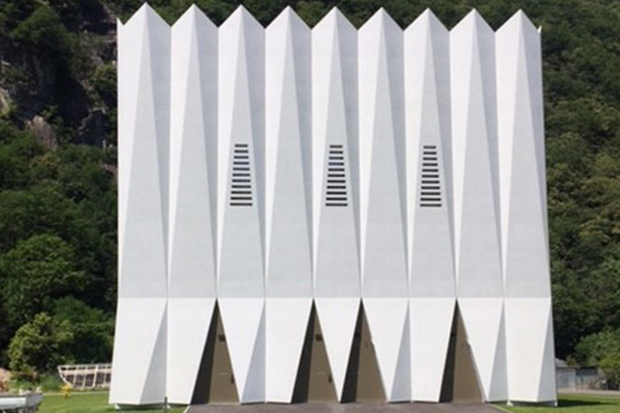 It is here that the architect Juan Campopiano was commissioned by the funeral directors Luca Andreetta and Dante Pesciallo to build an architecturally striking building: the Casa Funeraria Bellinzona. This modern funeral parlour provides the perfect setting for mourners to say goodbye to those who have passed away. All of the sound technology in the Casa Funeraria, including the fixed installations, comes from the Adam Hall Group brand LD Systems®. This includes a VIBZ mixer that won the Red Dot 2016 and iF Design Award 2016, as well as a wireless microphone system. Two white, multi-design-award-winning, patented CURV 500® array systems blend aesthetically into the impressive funeral hall, which is also decorated in light white tones. “White works particularly well here,” comments Enzo Canelli, Adam Hall Group Sales Representative for Switzerland. The quality of the array systems’ musical playback, especially at low volumes, impressed the customer, and voices can now be carried extremely well during speeches and readings in this large room. 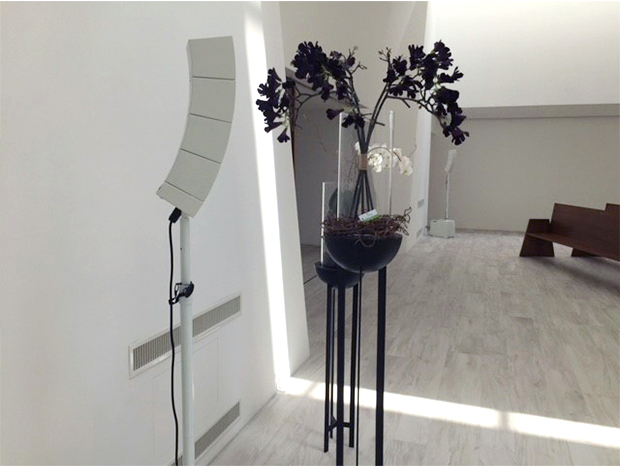 As there will also be lots of funerals with live music and, above all, live singing, the CURV 500® systems, with their WaveAhead® technology and high-definition audio quality with outstanding balance, are the perfect solution for the funeral parlour. 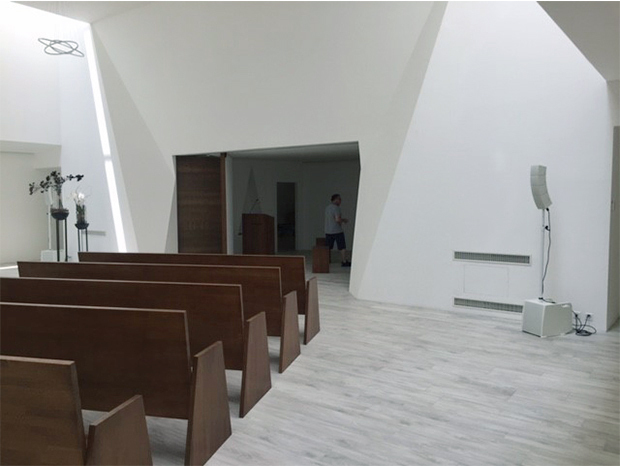 Canelli furthermore reports that a number of demos and test runs were conducted on site in cooperation with the client in order to find this optimum sound solution for the Casa Funeraria Bellinzona. In addition to the impressive properties from a visual and sound perspective, especially with regard to the array systems, the client also chose the LD Systems® brand because of the impressive service and high level of customer satisfaction, Canelli also revealed on behalf of his client.